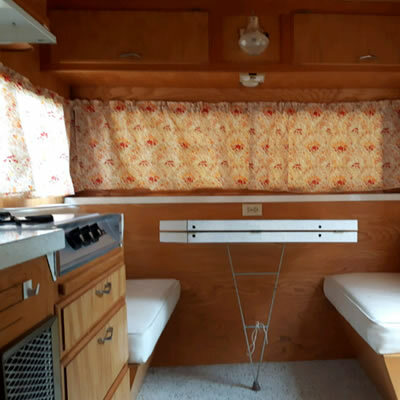 The Winnebago remains one of the most recognized and popular vintage motorhomes. 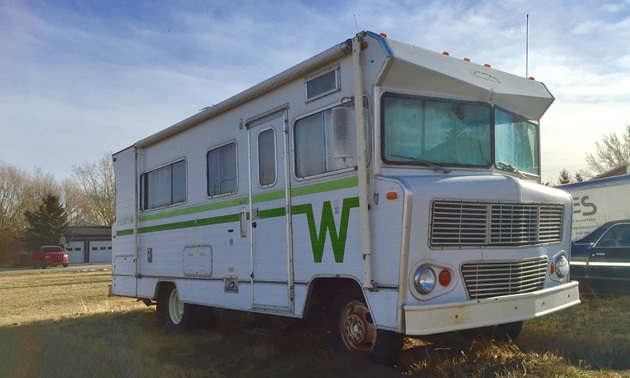 It’s not every day that you come across a sweet looking “flying W” Winnebago classic motorhome. However, last week during a sojourn through southern Alberta, I spotted this Winnebago Indian motorhome stored away on a out-of-the-way lot. I believe this model is a 1973. 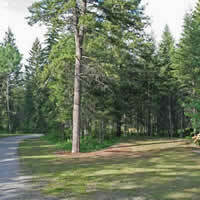 According to a Wikipedia reference: “In 1966, the first motor home rolled off the Winnebago Industries assembly lines. These motor homes were sold at a price approximately half of what was being charged for competitors' models, which led to its ubiquity and popularity in the RV community. The brand name (Winnebago) has become synonymous with "motor home" and is commonly used as a trade mark for such vehicles, whether they were produced by the company or not. 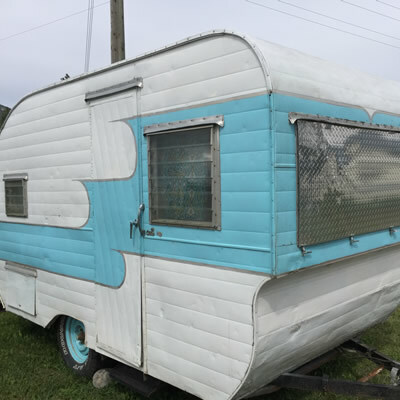 The Oasis Travel Trailer company dates back to the late 1950s and 1960s—the golden era of classic and stylish camping trailers. The provenance of this classy little unit is unknown - maybe one of our eagle-eyed readers can shed some light on the origins of this trailer?